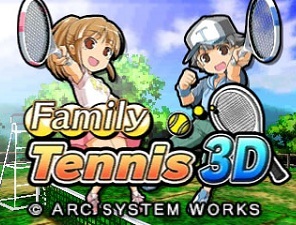 Family Tennis 3D brings us those same familiar characters that we saw in the other Family games. In terms of game modes, there is: Quick play and game play. Quick play throws you into a quick casual match against an opponent randomly chosen, and set usually at two games, one set matches. This mode is a good way for you to get used to the game. In game play, you have the option of choosing either free play, tournament, and minigames. Free play allows you to select singles and doubles, as well as the characters and the option or how long you want your game to be. Tournament mode provides you a series of matches on the difficulty of choice. You can only select higher difficulties if you completed tournament on the lower ones. Finally, minigames allows you to pick between three different options that has an objective of trying to get a higher score than your opponent. In terms of other features, unfortunately there is no multiplayer, which will probably set other players, along with myself disappointed there is none of that in this Family series entry. The games controls allow the usage of the circle pad to move your character. It's a shame there is no option to use both the d-pad and circle pad. Additionally, the movement is wonky at times, making it difficult running to get the ball and hitting it. It seems you character dives down almost every time you do both actions almost or entirely at the same time. Also, some of those opportunities to do a smash hit sometimes goes over the area mark, making these efforts frustrating at some of these moments. The 3D capabilities are at least decent, but do not exceed what I was expecting. It is not terrible by any means, but the developer could have added more more layer or depth to the game. The animations are good though, and the additions of viewing replays after every score, as well as the ability to change camera views are welcome additions. 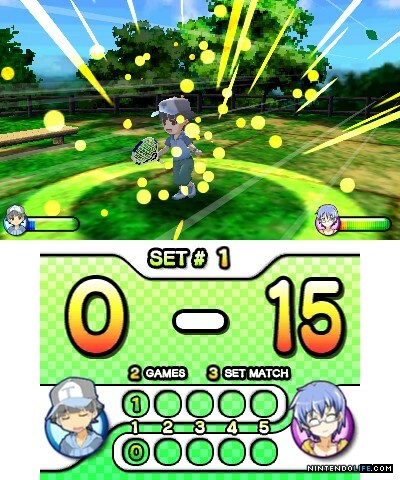 Family Tennis 3D at the core is a passable tennis title, but does not rise to the quality tennis fans would hope for. The game's often poor controls and lack of controller options makes me difficult to recommend this game to 3DS owners. There is an option to set it to easy mode, but unfortunately it doesn't make much of a difference. 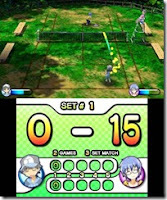 Unless you are a huge fan of all of ARC System Works past games in the Family series, it's best shy away from this title and to just save your cash something such as Mario Tennis Open for your portable tennis fix.